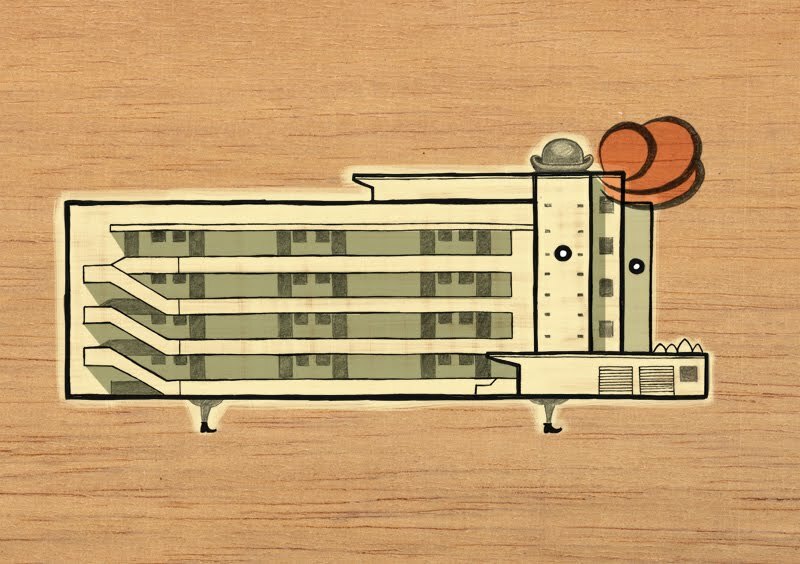 In 1934 the Isokon is what came out from Canadian architect Wells Coates when he set out to design Modernist houses and flats with his Constructivist-friendly company Isometric Unit Construction (ISOKON). Once more the building is not related directly to Bauhaus. However, there are a few Bauhaus artists that lived in the Isokon at some point when working in Coates company, Walter Gropius being the most representative. The story of this building is one of epic rise and fall. Originally designed as an experiment in communal living (with some flats sharing facilities), it was the finest example of Modernist architecture in the UK. It still is, but at some point after being a major cultural hub with some artists of the likes of Agatha Christie and Henry Moore hanging around, it was abandoned and forgotten for several years. Finally an architects firm refurbished it in 2003 and brought the building back to its old glory. The building is tucked away in nice Hampstead, North London, in stark contrast with the surrounding Victorian houses. It’s a Modernist building in England so it makes perfect sense it's wearing a bowler hat, winkle pickers and has a nice redhead hair. Find out more about the building here. 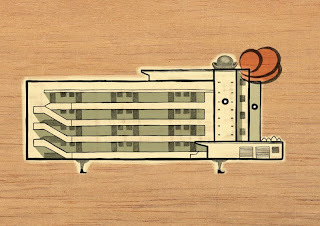 Isokon is postcard four of the six designed for Bauhaus: Art as Life competition at the Barbican.